Who knew? Seems that Mike Myers has been taking lessons from hyper-realist painter Damien Loeb. Myers described his disappointingly prosaic road to Damascus moment in New York Magazine: “I asked Damien, ‘Is this possible? Like, can I do it?’ And he said, ‘Yes'”. Equally surprising? If his appearance on the Jimmy Fallon show is anything to judge by, Myers has a perplexing fixation on one Colonel Sanders, of KFC fame. A whole lot less surprising? If the paintings he displayed with pride on national television are any indication, Myers should stick to his day-job. Oh wait. 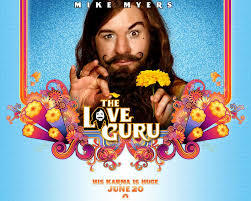 On second thoughts, I just remembered ‘The Love Guru’. So, disturbingly for art aficionados, it seems that this may be more than a passing flirtation. Myers has said: “I feel like I’ve made a friend of Damien and in painting that I’ll have the rest of my life. It’s very exciting”. But, in good news for comedy lovers, Myers may well be dedicating somewhat less time to the humorous arts from hereon in.